A great hiking and trail running destination during the warmer months and a super popular skiing destination once the snow begins to fall. Varies depending on the trail. Wachusett Mountain is known by many as a popular skiing destination in the winter months, but during the spring, summer, and fall, it transforms into a wonderful getaway for plenty of other outdoor enthusiasts. Sitting amongst 3,000 acres of land and over 17 miles of trails, hikers and trail runners alike will enjoy the 2,000 ft. hike to the summit. Once atop the mountain, looking east on a clear day will grant views of the Boston skyline and looking west will provide sights of the Berkshires. If you are visiting Boston during the snowy months of winter, consider strapping on a pair of skis, a snowboard, or a pair snow shoes and set off to the summit Wachusett Mountain. The downhill sections are family oriented and noticeably busier on weekends, so if you’re looking for a little peace and quiet during your adventure, consider checking out this destination during a weekday afternoon. Should you be in the area any other time of year, Wachusett converts from popular family ski center to a fantastic destination for hikers to explore and venture amongst the trees of New England. In addition to the summit sights and ease of access, nature lovers will enjoy exploring Wachusett Mountain’s old growth forest with trees up to 350-years-old and Balance Rock, a geological anomaly that features one boulder balancing on top of another. In addition, the nearby Wachusett Meadow Wildlife Sanctuary is another fun place to visit and explore, especially considering you will already be in the area. Families will likely enjoy Wachusett Mountain’ seemingly rural escape from the city without actually driving too far away. 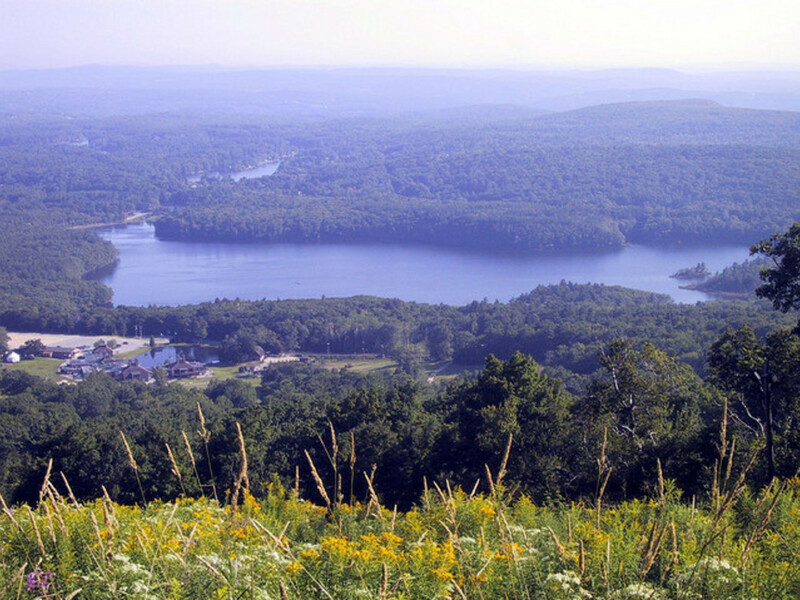 Picnics and barbecues are welcome throughout the mountain, so bring along your woven picnic basket full of food, a red and white checkered blanket, and enjoy the beautiful scenery that Wachusett Mountain has to offer you and your family. Take I-93 North to MA-16 West via Exit 31. From there, travel to MA-2 West to MA-140 South/ MA-2A West in Westminster. Continue on MA-140 South and follow signs until you land yourself at the mountain. An hour and a half drive from Boston will land you at the mountain. Summer-time parking is $2 a day and the visitor lot is limited to 28 spaces, so be sure to get to the trail head early to avoid any headaches. Wachusett Mountain daily ski lift tickets vary in pricing depending on the day of the week, time of day you wish to ski, as well as skiers’ age, but expect to spend anywhere from $38 to $63 per person. Wachusett Meadow Wildlife Sanctuary day passes are $4 for adults and $3 for children.